For equivalent thicknesses, polyurethane has a higher thermal insulation factor (R‑16 or RSI: 2.8) than expanded or extruded polystyrene (Styrofoam). 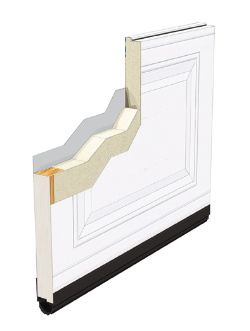 In addition, since polyurethane strongly adheres to door surfaces, it provides twice as much resistance to flexion as polystyrene in a comparable door. 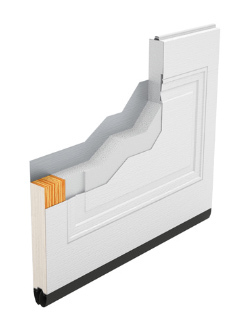 Remember, entrance doors are also insulated by injecting polyurethane foam. Polystyrene, for instance, is the material used to make coffee cups for protection in packaging.